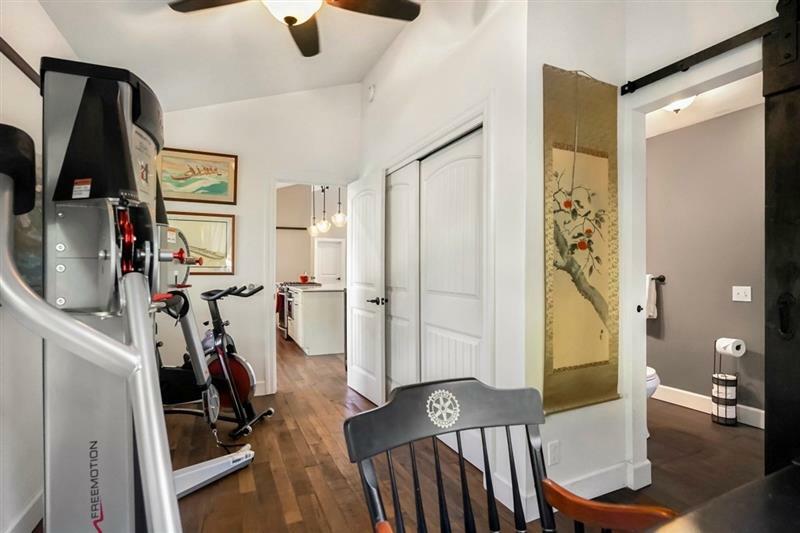 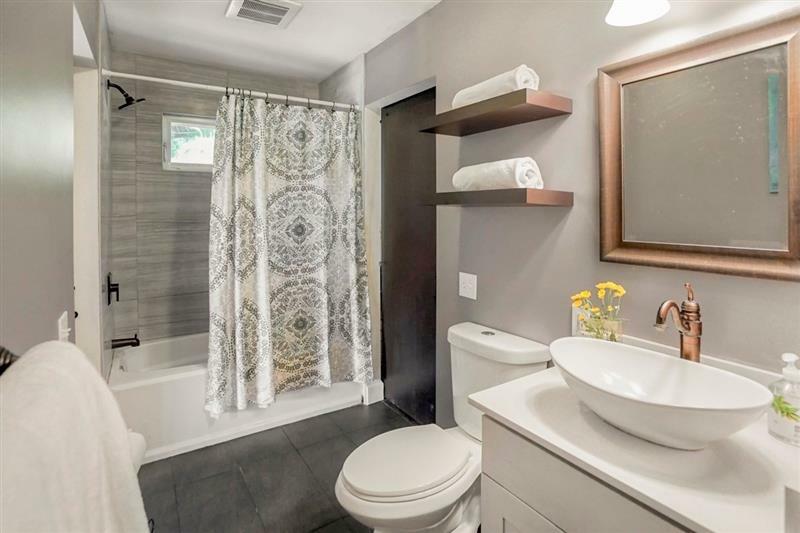 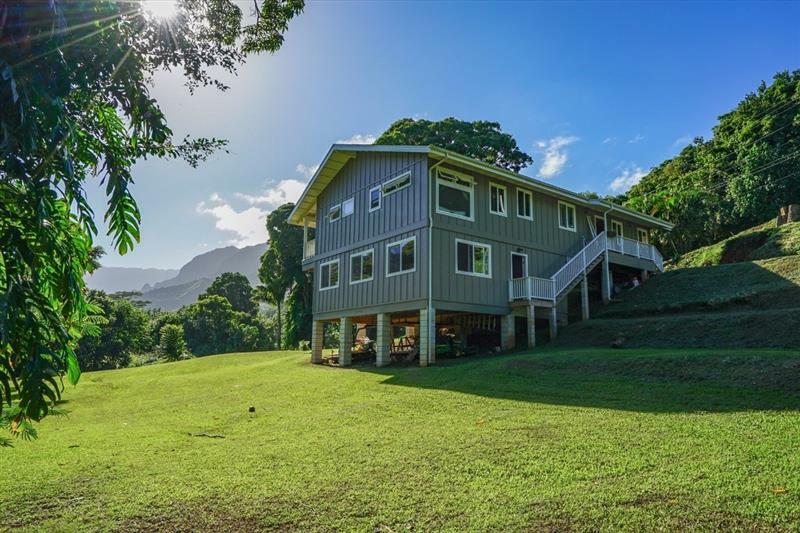 This home and additional dwelling unit offer a view of as many as 8 waterfalls! 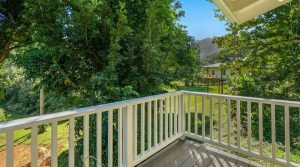 The yard boasts stunning monkeypod trees. 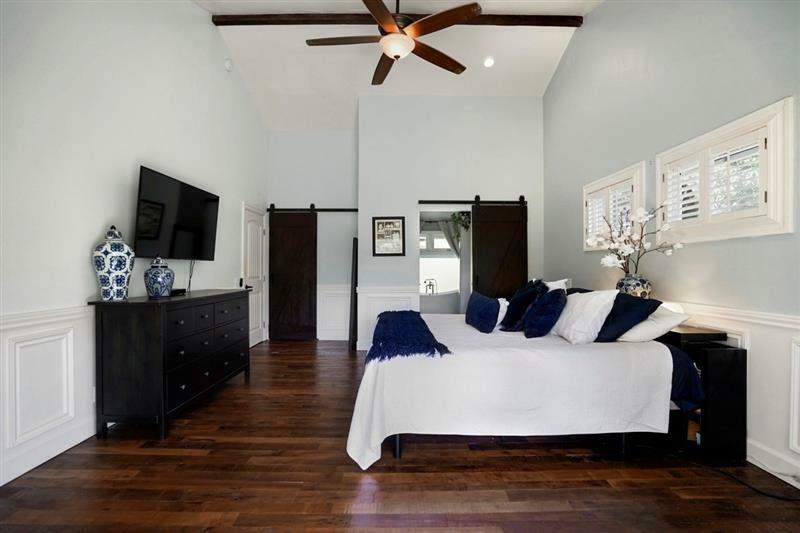 Enjoy exclusivity in this area where residents currently enjoy private-feeling beaches. 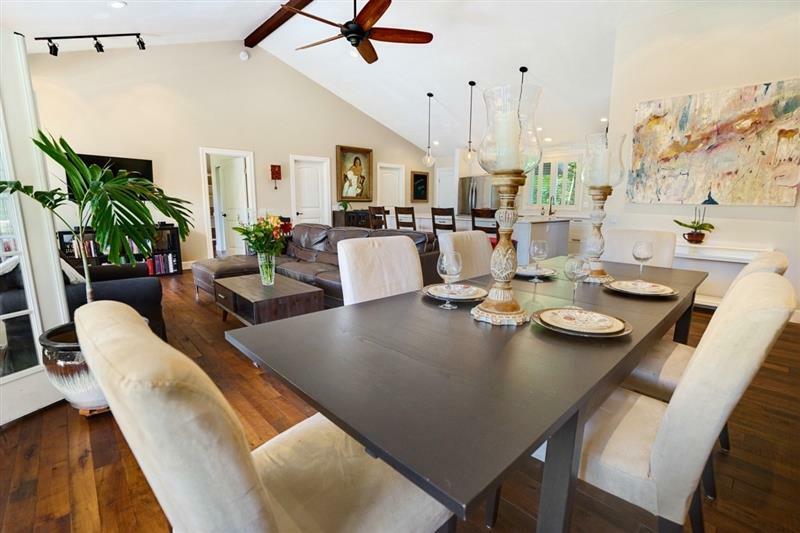 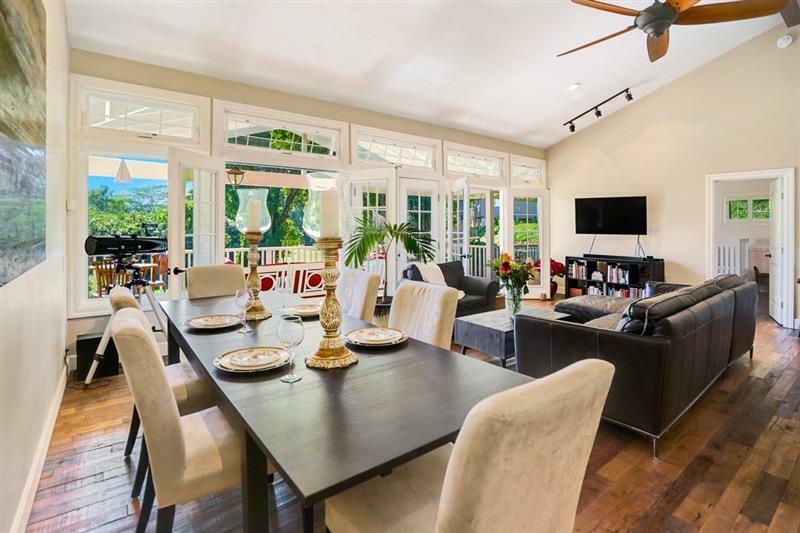 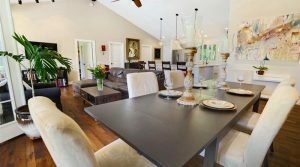 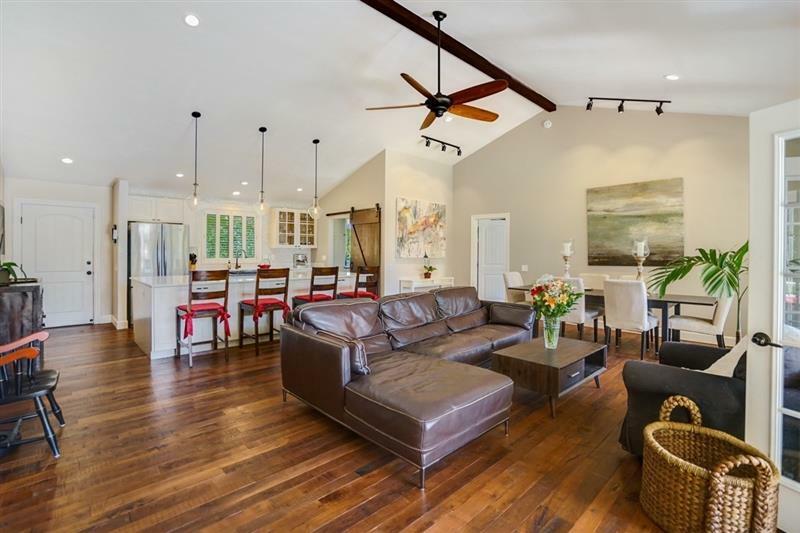 The beautiful main home has an open floor plan, vaulted ceilings and organic oiled walnut floors. 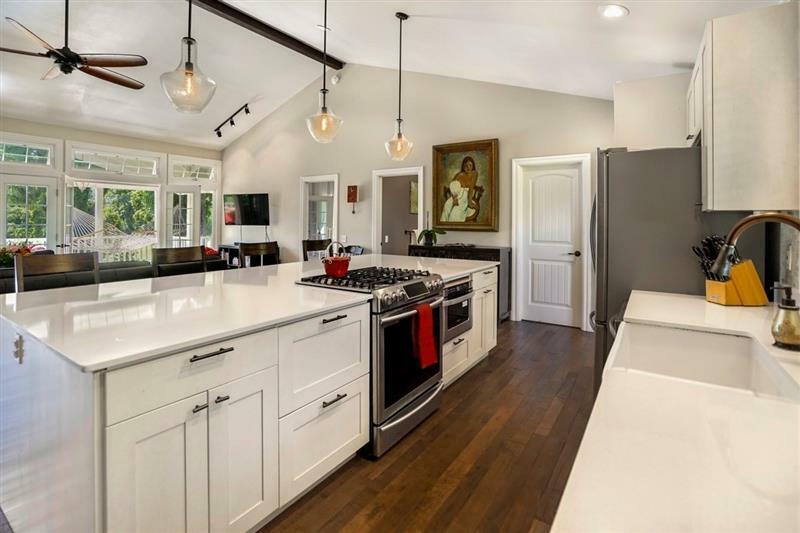 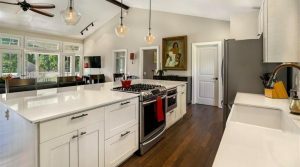 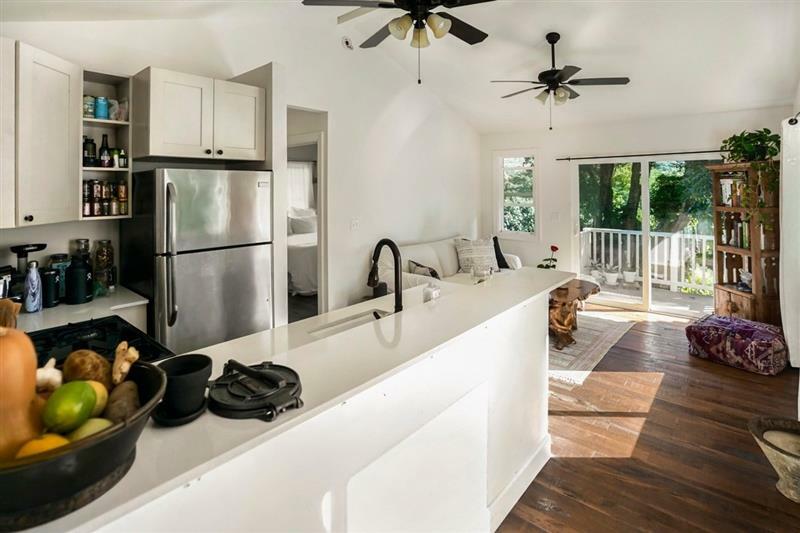 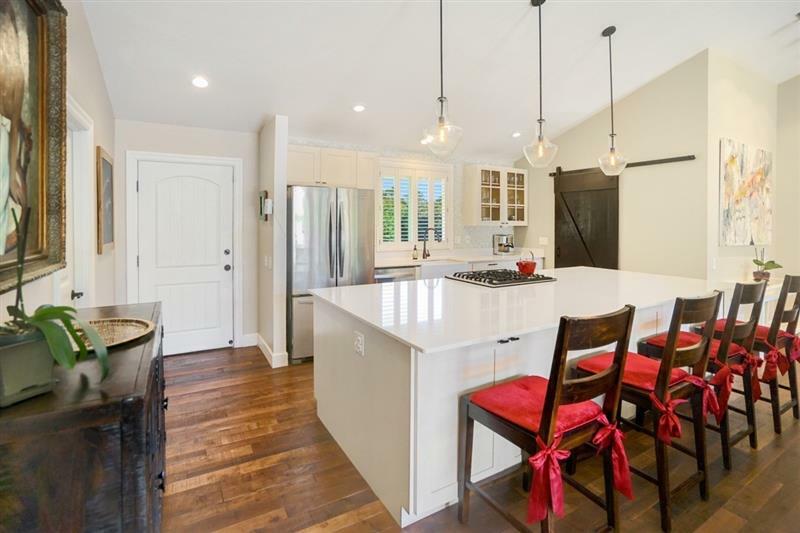 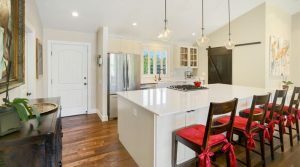 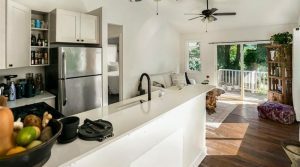 The bright and light kitchen has a farmhouse sink, generously proportioned stone island, gas stove and pantry. 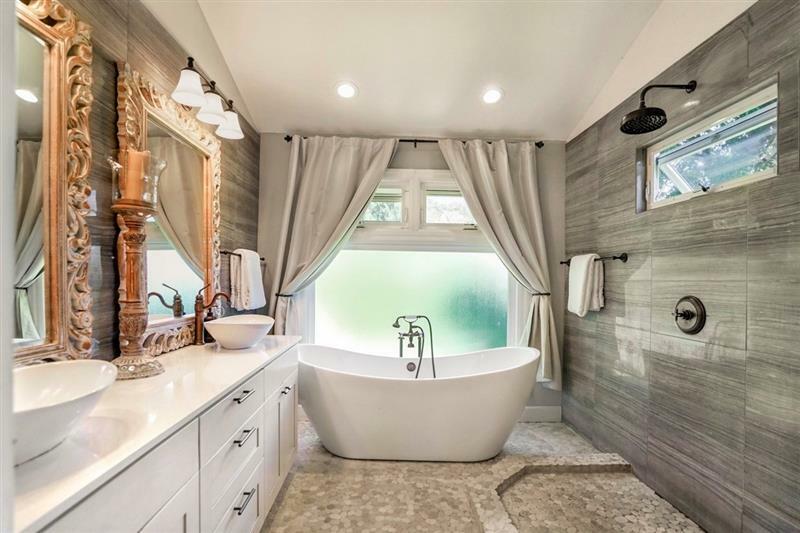 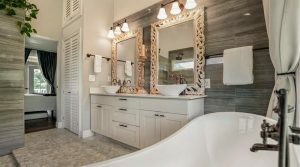 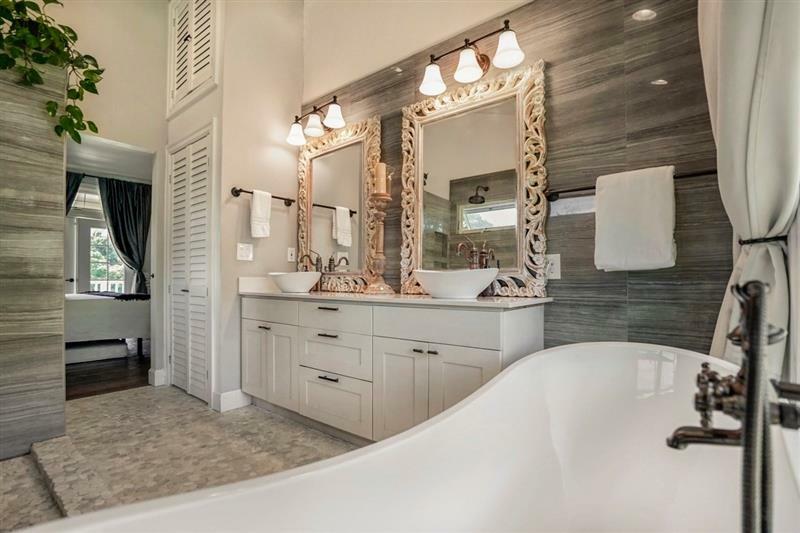 The master suite has a double rain shower and double sink. 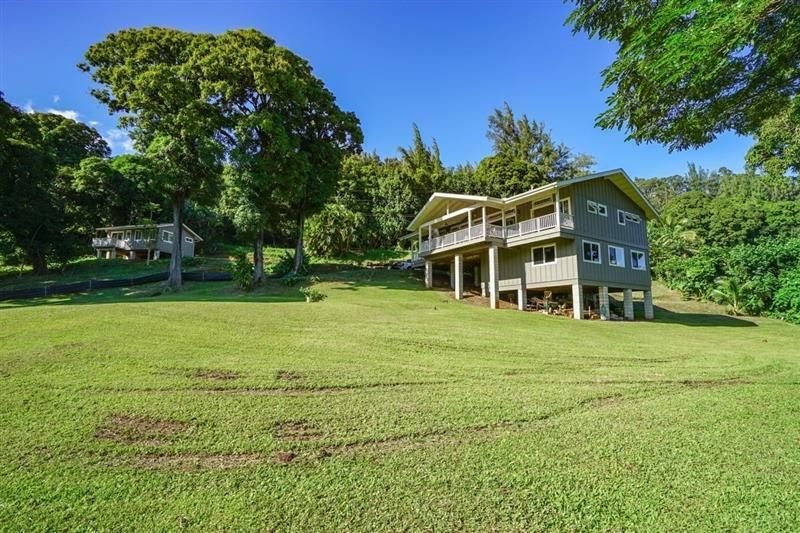 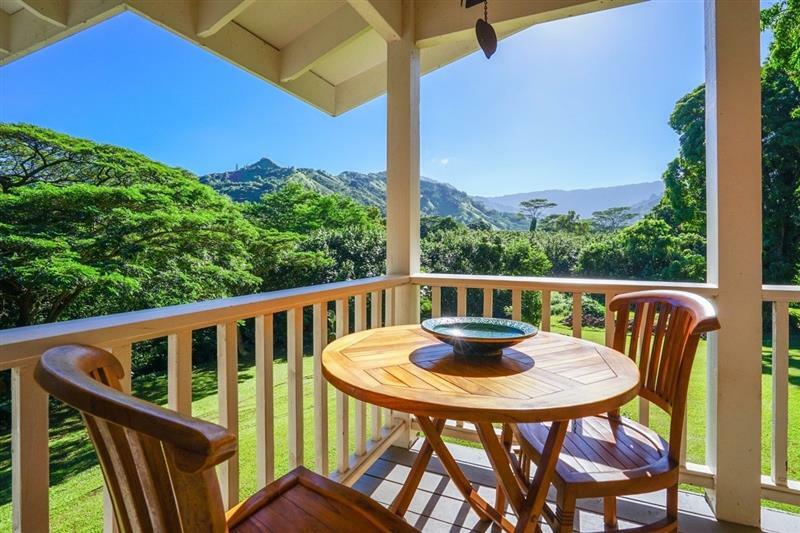 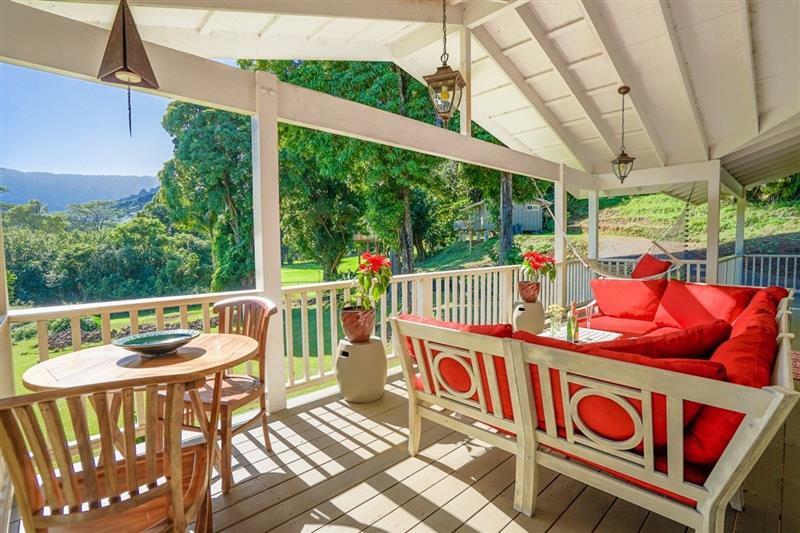 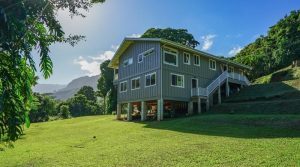 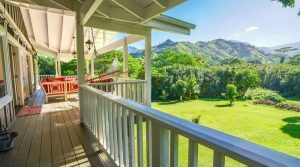 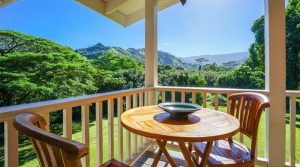 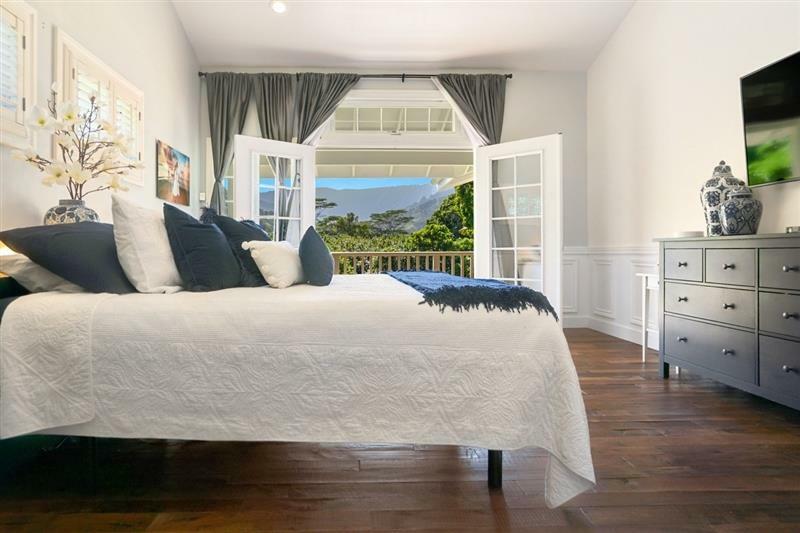 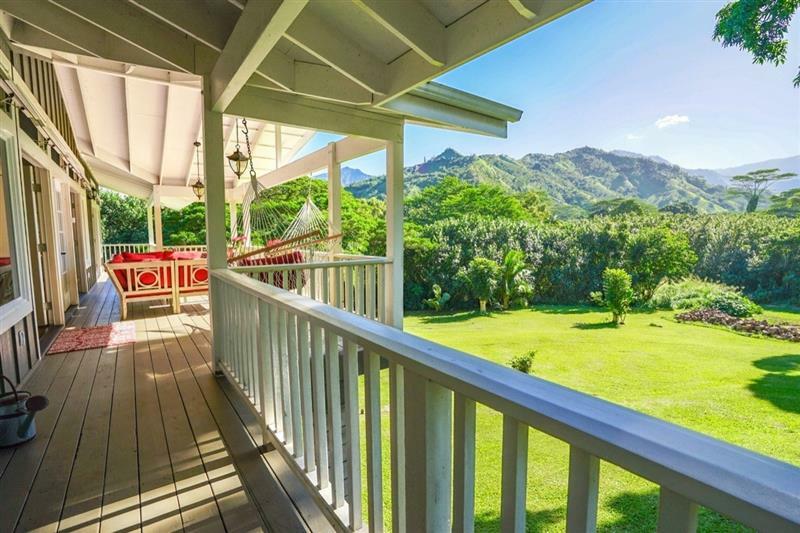 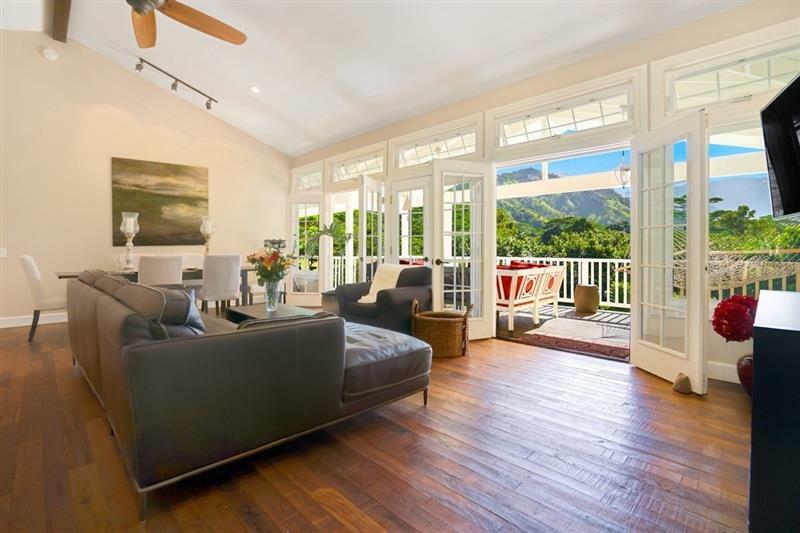 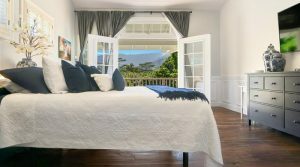 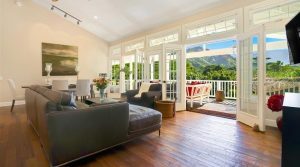 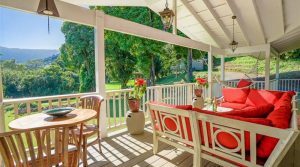 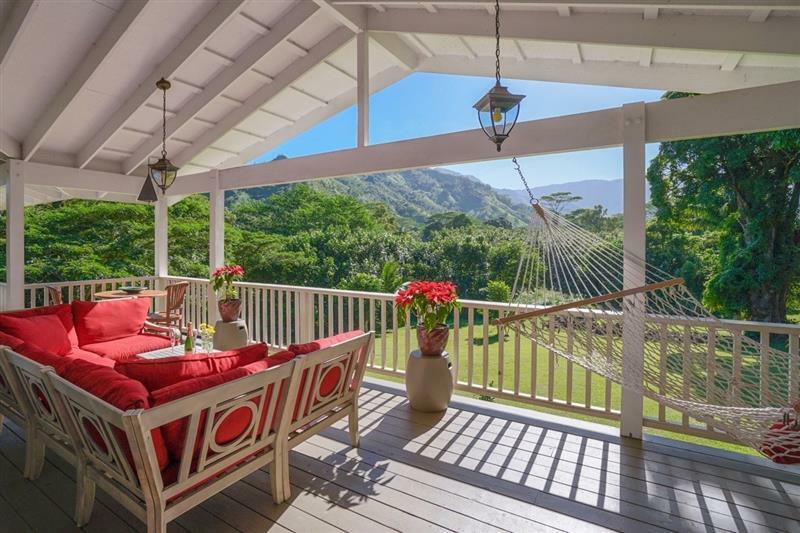 The home has a wonderful lanai from which Mount Mamaloha can be viewed. 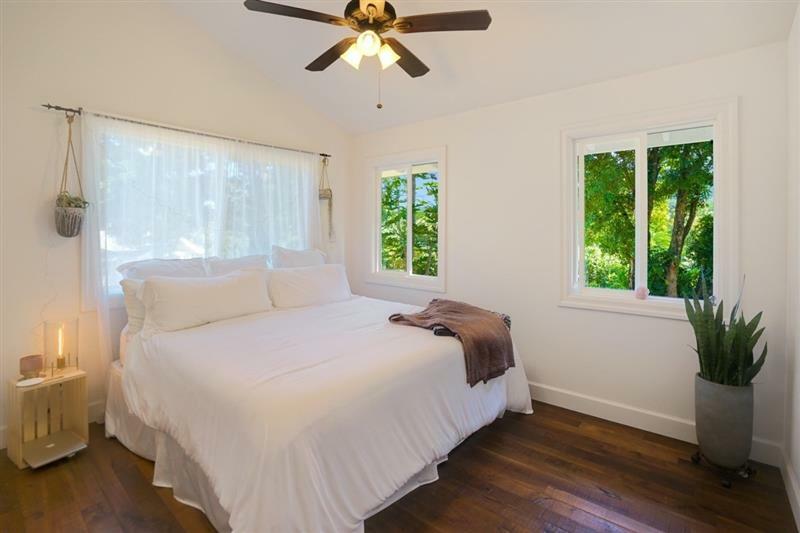 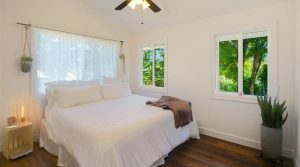 Additionally there is an 840 square foot downstairs room with windows that could be turned into additional living space if so desired. 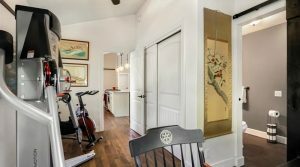 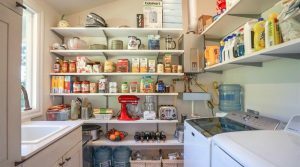 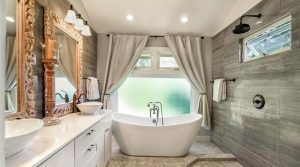 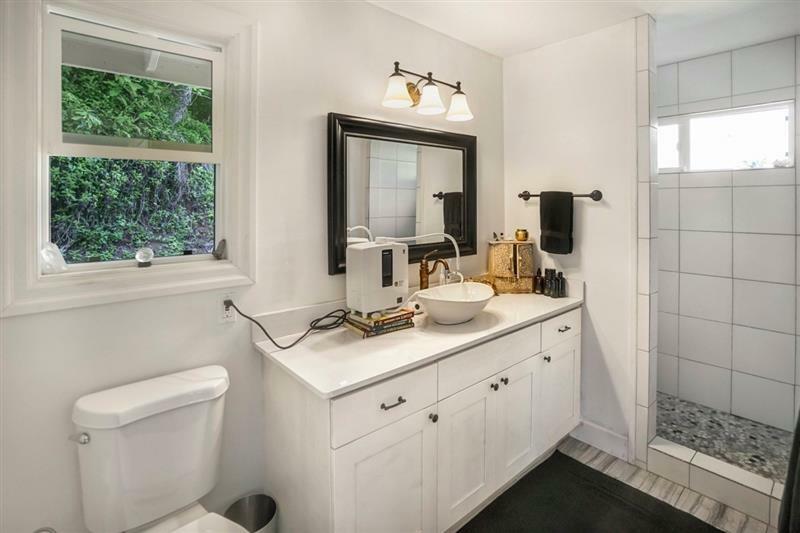 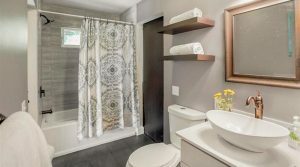 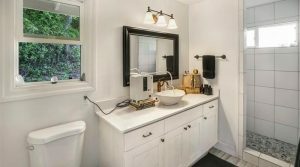 The additional home has a farmhouse sink, stainless steel appliances and a rain shower. 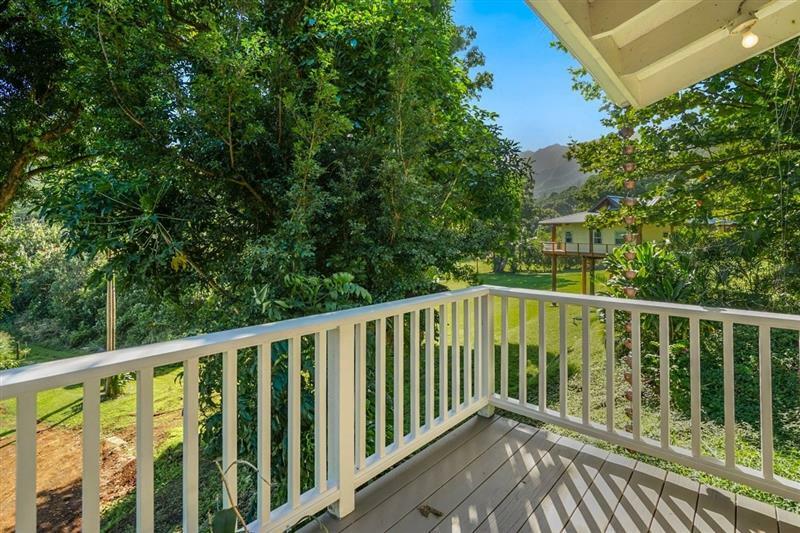 It also has a lanai. 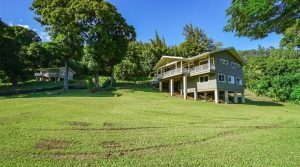 A lava rock retaining wall is in the process of being built. 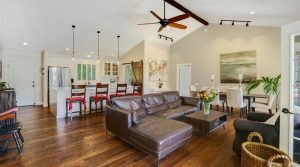 Sellers built this to be their forever home. 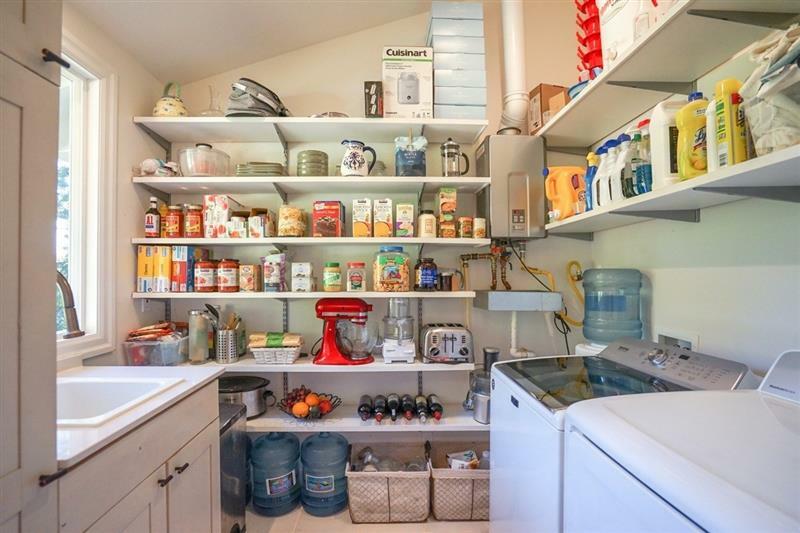 This home has never had any flooding concerns or similar. 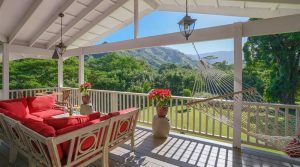 Take advantage of this incredible opportunity to buy property in this island’s most exclusive up and coming community in a gorgeous lush valley!